Breaking your fibula and tibia (doing a forward loop at the indoor event in Paris in the 90's) - does that still affect your wave sailing today ? I still have no feeling in my right leg around my ankle – but it doesn’t hurt when I land jumps anymore. Congratulations on winning the Womens division. Did you have a competition strategy? If so, how does it differ to your Olympic competitive strategy? Thankyou! My wave strategy is to get the biggest waves and do as much on each wave as possible. Then once you have your 3 waves in and you still have time try and do something big on the next wave. It is all about getting the jumps and waves in. Wave sailing I am not concerened about what anyone else is doing I am just trying to do the best I can do. Olympic sailing is totally different as it is all about everyone else so it is a numbers game. 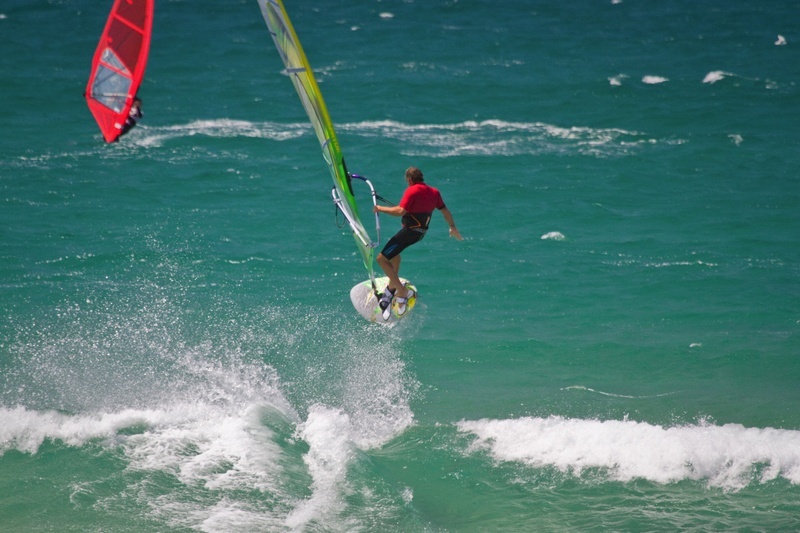 You haven't been windsurfing for about a decade, what have you been doing? 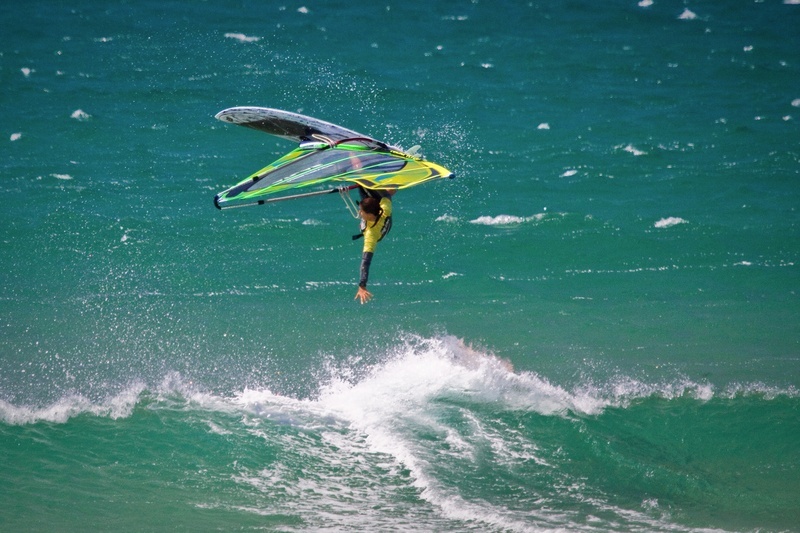 I have been kite surfing. (!!!) I was windsurfing professionally, based in Hawaii, but gave it away to pursue surf board shaping and start a business (Stuey Martin surfboards) back at home (Newcastle, NSW). I gave it away for 12-13 years. You did a one handed stalled forward? How did you pull it off? To be honest it was weird. I saw the ramp and basically this is what I would have done in that situation in previous comps so yeah, I just went for it. Things slowly come back to you on the water.